The extent to which Morocco has attempted to neutralise African efforts to find a resolution to the conflict and ensure the liberation of Africa’s last colony is a measure of its intransigence and desperation. African heads of state and foreign ministers from across the continent, as well as some foreign dignitaries, are due to attend. This poses a threat to Morocco’s agenda - to shut down any attempt to move the peace process forward. It is opposed to the AU’s involvement. Morocco’s latest trick was exposed last week when it issued last-minute invitations to African foreign ministers to attend its own conference on Western Sahara in Morocco on the exact same dates. The letter of invitation to the Malian foreign minister, for example, was marked “urgent” and issued 10 days ago. The letter offered to pay for all travel expenses. Some regional officials allege that Morocco used financial incentives to get some ministers to go. Countries such as Malawi, which is in dire financial straits after the devastation caused by Cyclone Idai, has reversed its decision to attend the solidarity conference after alleged pressure from Morocco. The fact that Morocco is working hard to neutralise the SADC conference suggests that initiatives to express solidarity with the people of Western Sahara is a threat to its modus operandi. Despite being accepted as a member of the AU in 2017, Morocco has shown no genuine commitment to relinquish its hold over the illegally occupied territory of Western Sahara. 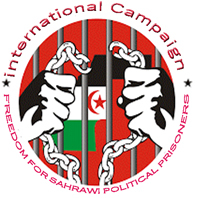 Officials from the Saharawi Arab Democratic Republic (SADR) met their Moroccan counterparts in December. SADR had suggested confidence-building measures such as the release of Saharawi detainees, the deployment of UN Human Rights Monitors in the occupied territories, an end to the violations of the ceasefire, and an end to Morocco’s illegal plundering of Western Sahara’s natural resources. Morocco refused to discuss it. But the AU troika established to deal with the issue is determined to come up with a new mechanism and roadmap to allow the AU to contribute more to the UN process to ensure self-determination. The troika comprises Egyptian President Fattah al-Sisi, President Cyril Ramaphosa and Rwandan President Paul Kagame. Sisi has declared his solidarity with Western Sahara, and Ramaphosa has called on Morocco to decolonise Western Sahara and said South Africa would use its mandate on the UN Security Council to advance the Saharawi quest. If Morocco was under the illusion the AU would sit back and watch the UN process, it should think again. This month, the chairperson of the AU Commission and the AU chairperson agreed on the need to operationalise the AU mechanism on Western Sahara and will call on the co-operation of AU members. At the end of the day, most African states have the memory of their own fight for liberation and self-determination from colonial occupation and are not likely to deny solidarity to the people of Western Sahara for the same cause.